We used to be a biking family. We rode everywhere – to do shopping, to get to work, to go bombing down crazy mountain bike trails. Then kids came, and the addition of child seats on the back of our bikes meant there was no room to carry anything, and soon our bikes were gathering dust in the garage. 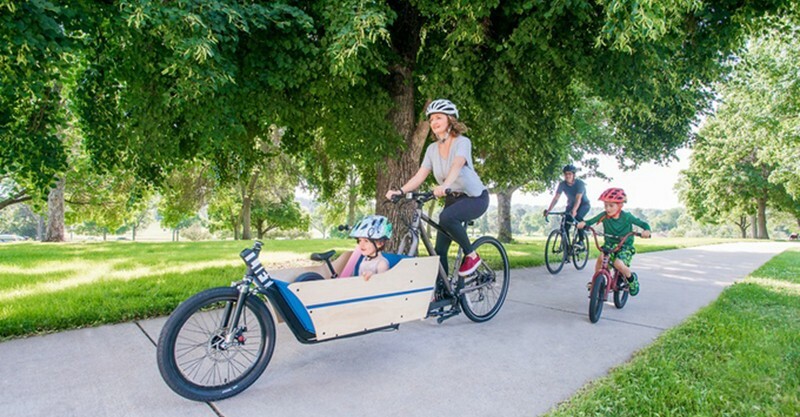 The Lift Cargo Bike is a game changer that can help families like ours put rubber to road again. The Lift Cargo Bike ($899) turns your bike into a cargo bike, and back into a regular bike again. 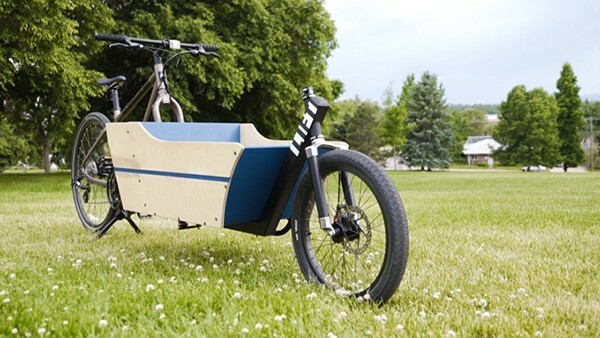 It attaches to an existing bike, turning it into a front-loading cargo bike in a quick minute. Then you can go off to the grocery store, take the kids to the park or even pop your dog in the front. The folks who designed Lift are bike folks themselves, and they’ve thought of everything. The box is made from outdoor grade plywood that’s UV protected, the front tyre is thorn resistant, the front wheel has a disc brake, and the kickstand is extra wide. The frame is made from tough TIG welded steel – the same steel they use to make aeroplanes, diggers and race cars. When it’s detached from a bike, the Lift is easy to store because it’s the size of a wheelbarrow. The Lift just finished a successful Kickstarter campaign almost doubling its fund raising goal. The company is aiming to start shipping bikes in February 2017 and pre-orders are starting now. Shipping to Australia is a fast five days, but also exxy: $650.